Manoj Biswas, Sanjeev Narang, Jaideep Mahajani, Ravi Mahajan. Objective: To determine the role of infant feeding tube (IFT) as a better alternative to DJ stent after uncomplicated ureteroscopic removal of stone. 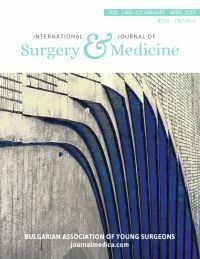 Material and methods: Between March 2008 to March 2016 a retrospective study was done in 1000 patients with a stone in ureter that underwent surgery, patient divided in 2 groups, group I included 500 patients who were inserted infant feeding tube after URS, and group II consisted 500 patients who received DJ stent after URS. We removed infant feeding tube within 24 hours and DJ stent after 10 days. Outcome of all patients were analyzed. Result: 480 patients withstand the IFT well, 4 patients i.e. 1.6 % (3 females, 1 male) complained of pain in flank, for that DJ stenting was done. While 342 (68.4%) patients with DJ stent returned with irritative symptoms, pain abdomen (25), fever (68), hematuria (12), migration of stent (2), incontinence (4). Conclusion: Patients with IFT after URS develop no stent related complications as seen with DJ stent, they are much better tolerable.